TapouT clothing is the world’s leading provider of MMA clothing and apparel. With the slogan “American, Arrogant and InYaFace”, this brand is diverse and bold like true MMA apparel should be. One of the first MMA clothing retailers, MMA Warehouse, offers the latest TapouT trends at discounted prices. Click on the images below to find affordable TapOuT clothes for men, women, and kids! TapouT clothing includes tees, tanks, long sleeve shirts, hoodies, board shorts & hats. 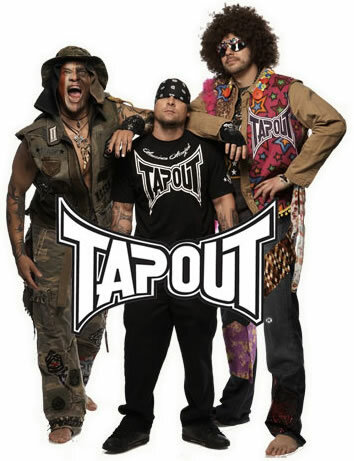 TapouT started out as a vision by co-founders Mask, Skyscrape, and Punkass in 1997 and has since grown into a popular and well-rounded MMA clothing brand. Sadly,TapouT founder Charles Lewis Jr, “Mask”, died in a car crash this past March at the age of 45. Nevertheless, he always will be a cherished icon in the world of MMA. Along with MMA apparel,TapouT is recognized for its MMA magazine and TapouT TV series – which travels across country to find and sponsor up-and-coming MMA fighters. The TapouT Research & Development Training Center was also opened on June 19, 2009 in Las Vegas to build and support the MMA industry. Sponsoring fighters like Chuck Liddel, the TapouT team can always be found at MMA fights and events. As for fans, TapouT also honors anyone who has the TapouT logo tattooed on their body! 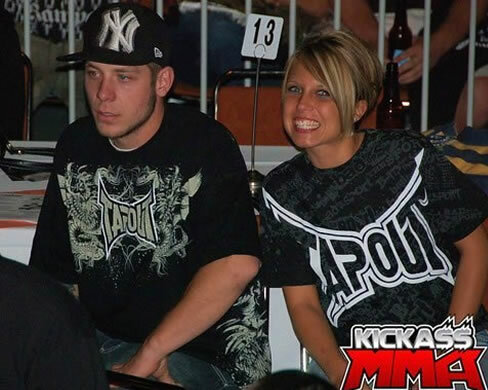 Overall, the TapouT clothing team has always been known for giving MMA-ers the opportunity to become involved and support the MMA scene both in and out of the ring. Get your Tapout clothing today at the discount prices you deserve with our online retailers, MMA Warehouse (available above)!